What was the first thing you ever built? ​The Society of Sculptors, better known as S.O.S, wants to answer your questions about how artists make things. 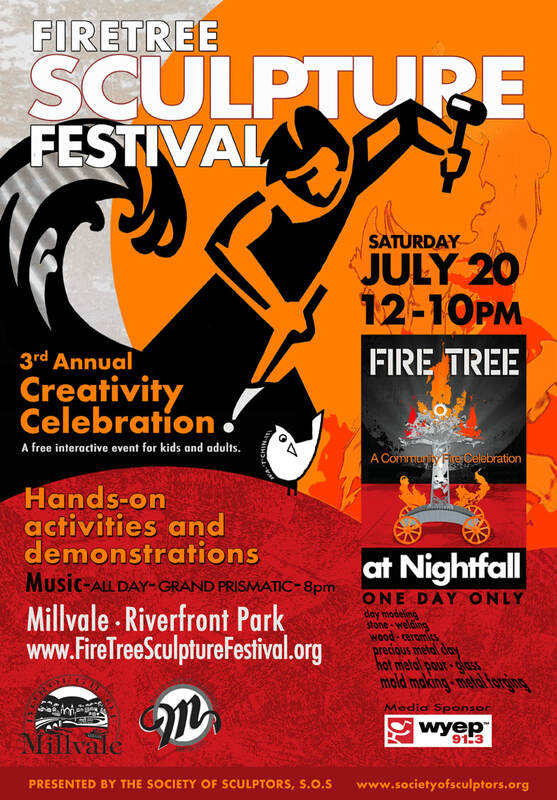 The 3rd annual FireTree Sculpture Festival will introduce you to sculptors as they demonstrate and encourage visitors to interact with materials and techniques. Some of the action areas you’ll find at this free family friendly event are welding, stone carving, hot metal pour, mold making, clay modeling, precious metal clay, stone carving, glass, and blacksmithing. Throughout the day, the music of local musicians will fill Millvale’s Riverfront Park along Pittsburgh’s North Shore Trail at the 40th Street Bridge. At the center of the festival stands the FireTree. This 22 foot tall metal tree stands as a symbol of positive community engagement… and lights up with fire at nightfall following a performance by Grand Prismatic at 8:00pm. Located on the banks of the picturesque Allegheny River at the 40th Street Bridge, Riverfront Park sits at the northern entry of Pittsburgh’s North Shore Trail. The park attracts families, runners, walkers, and bicyclists. Various locations provide direct pedestrian access to the shores of the river. ​Boaters and rowers enjoy both a marina and one of Three Rivers Rowing Association’s facilities.